As a developer who sometimes dabbles in designs, I can’t even begin to describe how sick I am of rectangles. Because of the limitations of CSS, almost everything in websites is wrapped in a rectangle that is wrapped in other rectangles. Even designs that incorporate circular images and content wrappers align them in rectangular grids. The css clip-path property will help somewhat, allowing rectangles to be masked into other shapes, but the fundamental grid remains rectangular. Until now. The CSS clip-path property – This would certainly be the easiest, most standards compliant option, but it isn’t supported in current versions of Edge or in IE11, which is sadly still relevant to many users. Rectangle with pseudo-elements – Using the before and after pseudo-elements to create triangles that attach to a rectangular div to form a hexagon is a pretty good trick that requires minimal markup. However, because the hexagon is made from three separate DOM entities, you cannot assign a background image to a hexagon without a lot of very fiddly graphics editing. Nested Transforms – This is the method I chose to use in my example. It adds significant non-semantic HTML markup, and requires use of overflow:hidden, so it can be difficult to implement modals or tooltips inside cells, but it allows for both background colors and images, and supports all modern browsers and even IE11. Basically, there is an outer wrapping element, with an aspect ratio of 1:2 that is rotated -120deg and given overflow hidden. Next there is an inner wrapping element that is set to the same dimensions and overflow, but is rotated 60deg. Finally the element itself has the same dimensions and overflow, and again is rotated 60deg. Next, I used flex-wrap and justify-content to break the hexagonal cells into rows, and used negative margins to overlap the rows as needed. Unfortunately, there are a few caveats still associated with this grid. 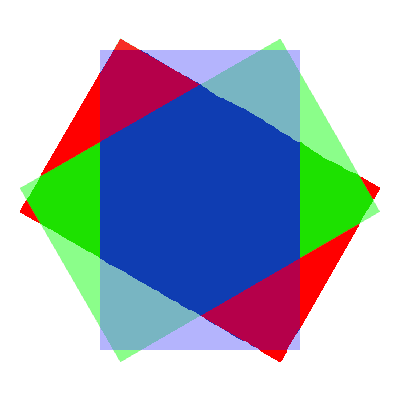 The rotation method of creating hexagons requires two non-semantic nesting elements per cell. So it is not the prettiest HTML. If you use this layout on a site, or figure out a neat way to extend it, let me know in the comments below!